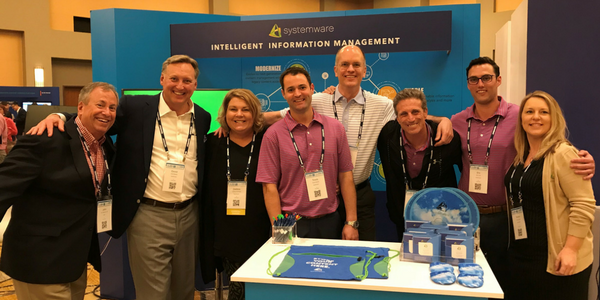 The Systemware team wrapped up another productive road trip in mid-April at the 2018 AIIM Conference in San Antonio, Texas. 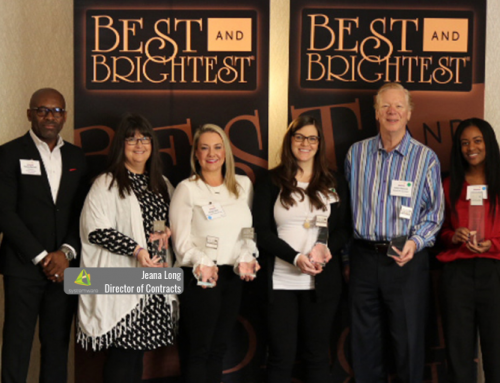 We were honored to be a Platinum sponsor of this year’s big event and enjoyed some time well spent with industry colleagues focused on digital transformation – what’s happening in the industry – and intelligent information management – the process by which we address digital transformation. 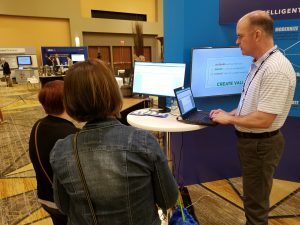 And ultimately it was a conference where there were many discussions on what all of this really means to each attendee and the requirements they have for their technology providers. Andrea Chiappe, Strategic Consultant at Broadridge Financial Group joined Systemware for a case study session to a full room to discuss enabling operational change and innovation – from connections to legacy reporting systems to federated search and more. 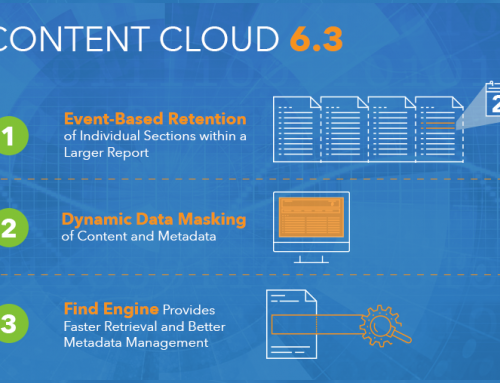 She spoke of the Broadridge vision of a cloud strategy that is both compliant and effective at managing content both in-house and in a service environment. David Basso, Vice President of Sales and Marketing at Systemware, iterated the value of a content services solution that can help to simplify current content ecosystems, modernize processes for extraction and help to connect data for greater insight. 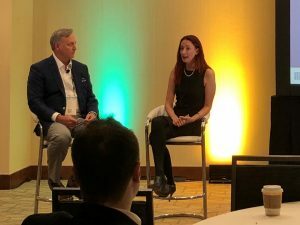 Andrea followed up by repeating that modernizing content creates the opportunity to offer value-added services-both connecting with and distributing to existing, new and future channels. And now is the time, she said, to decide in which camp you are in. Are the stars aligned, or are you in the perfect storm? 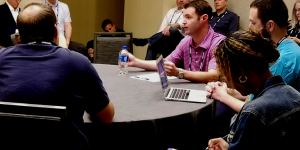 A great discussion took place on the topic of moving beyond ECM to this evolution of content that is accessible and useful across the enterprise. The session was facilitated by AIIM and Systemware, and attendees discussed ECM, the move from this terminology, and the challenges this creates of not knowing how to talk about the space – if ECM was the technology and Intelligent Information Management is a process, what do we now call the technology that enables this intelligent process? This lead to a discussion on Intelligent Information Management and whether that represented technology or a set of processes where many agreed that it was the process for how to transform their environments. The process can guide them in their requirements development, and technology should enable that process. One of the most productive conversations in the session was around the term Digital Transformation. Many are unsure what this means. And the interesting outcome of this discussion was that it truly does depend on each person, their company, the process and technology in place today. Where are they in this move: from a paper-based environment; to enterprise content systems; environment; to data-centric, cloud-enabled environment. Many in attendance voiced their thoughts on where they were in this ‘journey’ and the challenges with changing mindsets (changing people, process, and technology), but also, they discussed what they perceive as potential value in this transformation – from improvement of information and workflows in individual teams or business lines all the way through to enabling improved customer service. 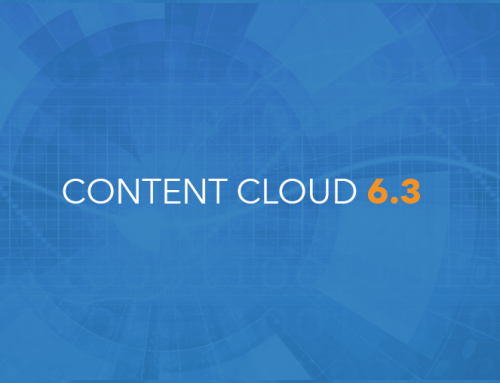 Thank you for dropping by our space in the Solutions Lounge and if we didn’t get chance to show you the capabilities of our Content Services solution, Content Cloud, please download the overview. 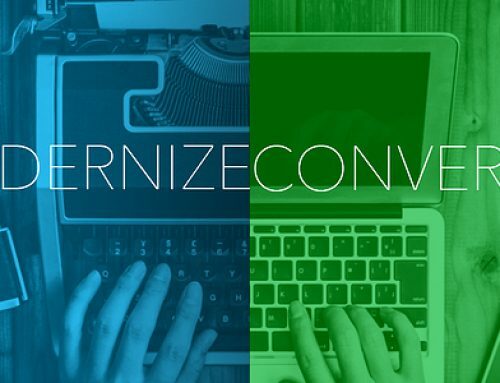 We value the knowledge-sharing and insight we gain at these events to help move us forward in providing quality solutions that meet both your changing requirements and that can innovate and change with the industry and technological shifts. 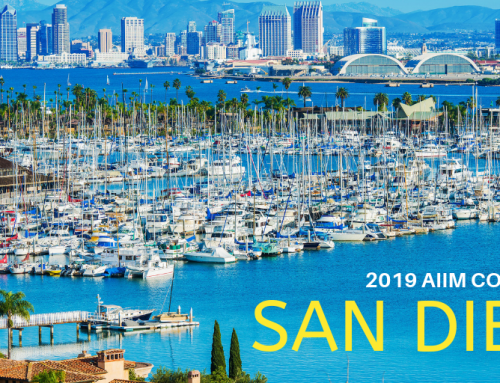 We hope to see you again at the next AIIM conference.